Held every Friday during lunch, Brown Bag Workshops provide engaging, useful information on a variety of topics. 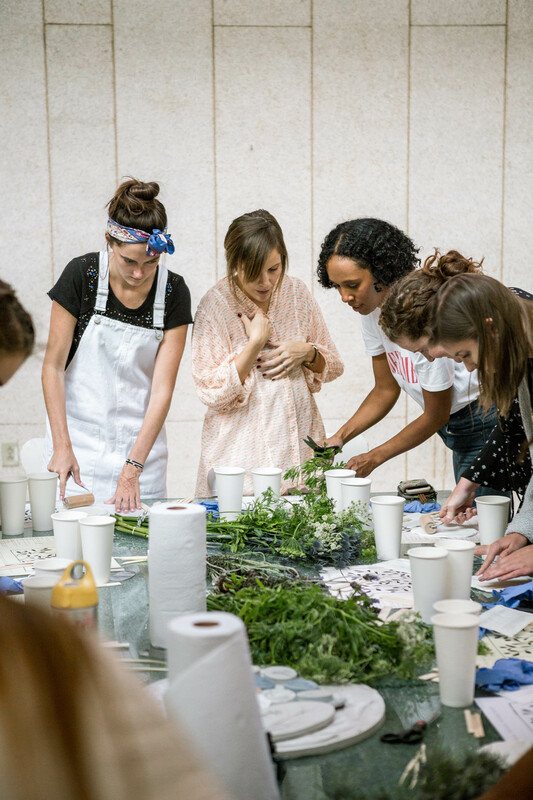 These workshops give employees an opportunity to connect with other like-minded colleagues and tap into their artistic minds. Not to mention it's the perfect way to end a busy work week! Philadelphia artist Ron Nicole has always been interested in art. But what truly inspired her floral fossil creations was a trip to the Philadelphia Museum of Art. 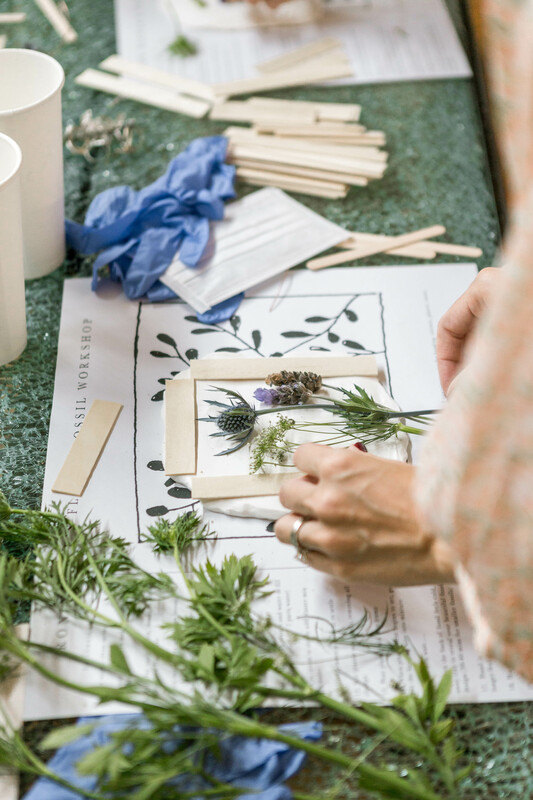 Exhausted from a full day of consuming mind-blowing works, Ron wasn’t expecting for the flower detailing on a frame to catch her eye; but she was transfixed and became obsessed with recreating this pattern. 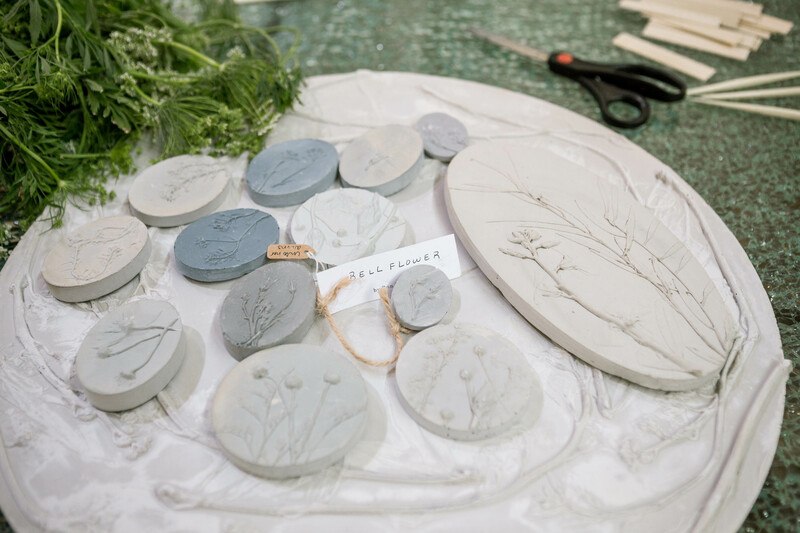 This Friday we welcomed Ron to our Navy Yard headquarters where she demonstrated how she creates her beautiful flower fossils. With our tools laid in front of us, the group set to work building the foundation of our creations. We began by kneading and rolling out the polymer clay until smooth so we had a pristine canvas to work with. 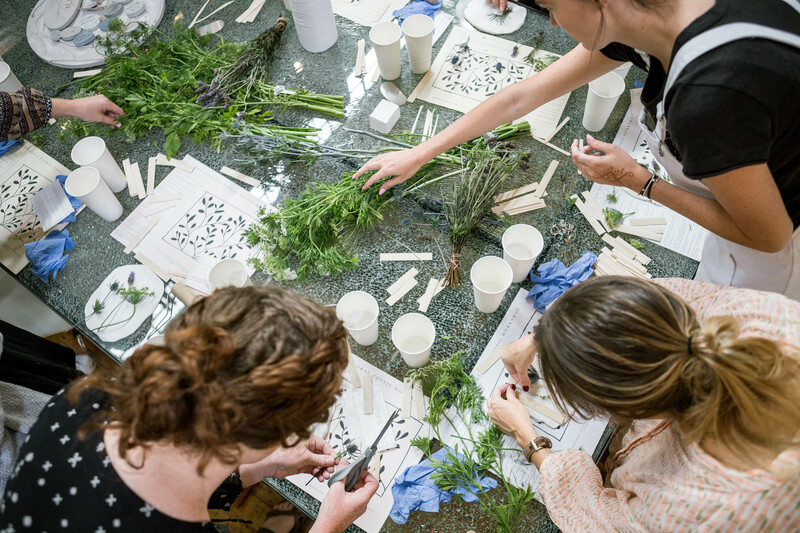 Using Queen Anne’s Lace, French Lavender, and Blue Thistle employees flexed some serious creative muscle as they laid out intricate pasterns on their clay foundation. The next step was to grab a roller and flatten these fresh cuts into the clay; the harder you pressed the more pronounced your relief would be. 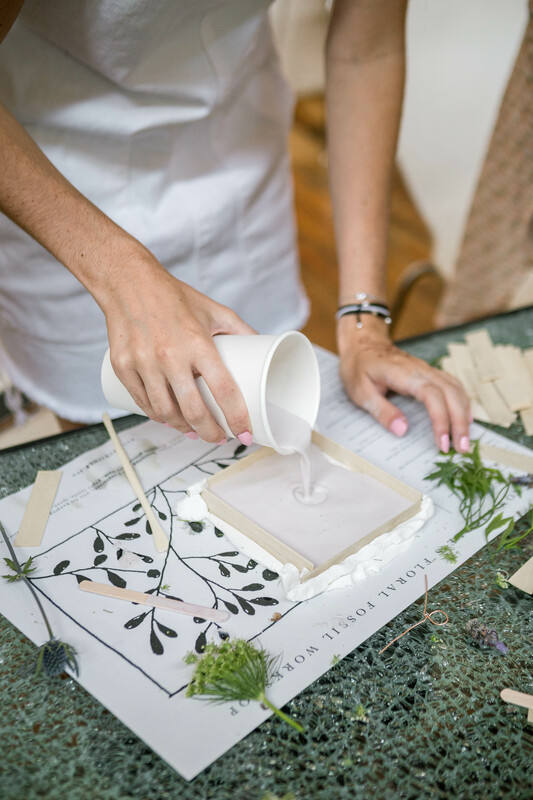 Working with you hands is so relaxing & a welcome break from the day-to-day hustle. I get my best ideas when creating. 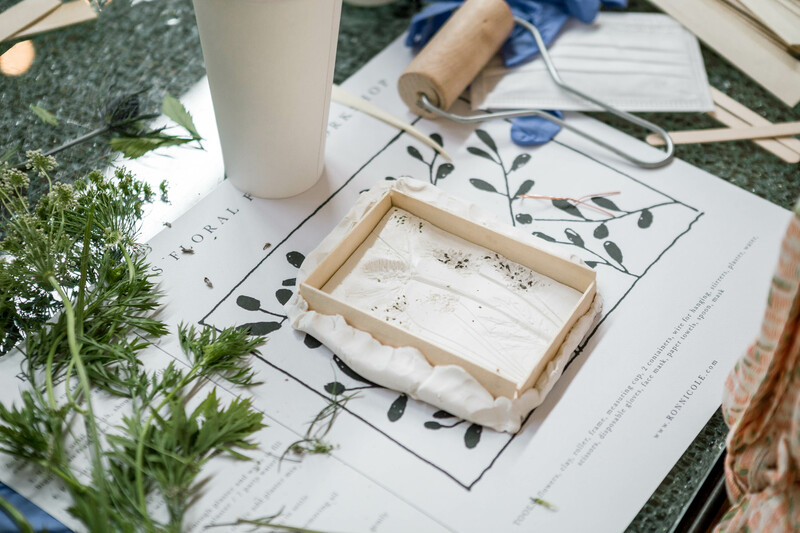 After removing all of the organic bits, employees were instructed to frame the clay with wooden sticks and seal all open areas with small bits of clay. When this step was complete, we mixed our plaster with water and choose a dye to incorporate for coloring. Pouring the plaster mix into the frame was both exhilarating and anxiety inducing; would this be a ‘good-grief’ relief or something that would adorn our walls for years to come? All that was left to do was wait until the fossils felt cold and dry to the touch to revel was hid below.